This unsealed 4WD and cycle trail follows Kings Tableland Road from Wentworth Falls to scenic McMahons Point lookout. Enjoy sweeping views of Lake Burragorang and the Greater Blue Mountains wilderness. 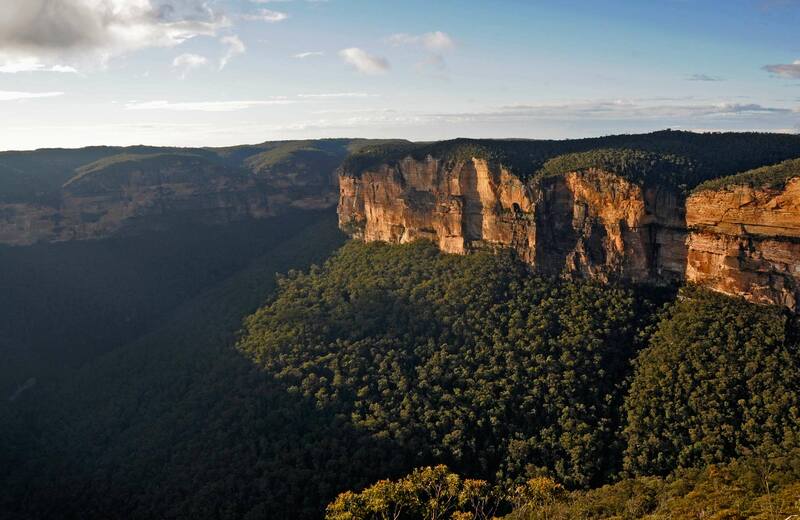 Join this hands-on WilderQuest activity in Blue Mountains National Park. Around the campfire, you'll learn all about our country's First People. A challenging walking track that starts at Wenthworth Falls picnic area, Wentworth Pass offers lookouts, scenic views, and waterfalls in Blue Mountains National Park. Overcliff-Undercliff track combines scenic clifftops, birdwatching, and rainforest with walking tracks and waterfalls in Blue Mountains National Park, near Wentworth Falls.